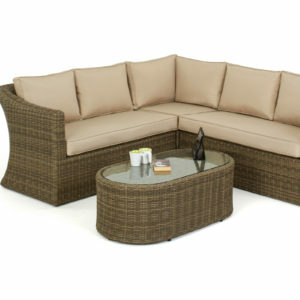 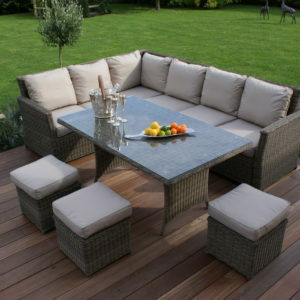 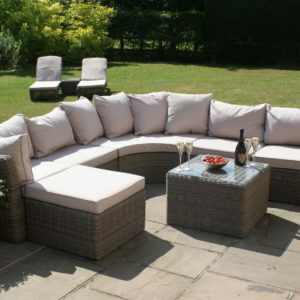 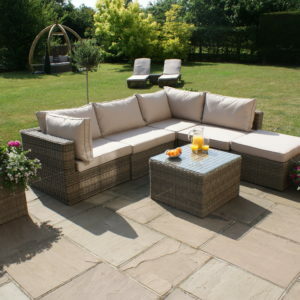 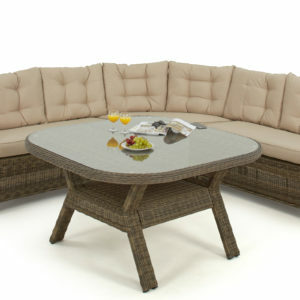 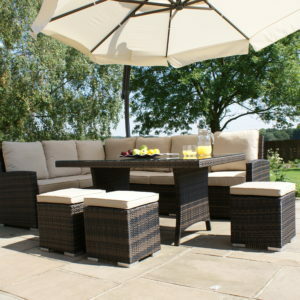 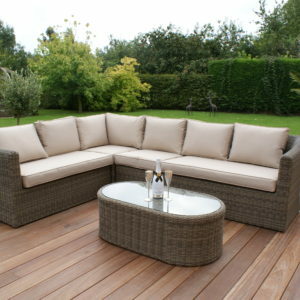 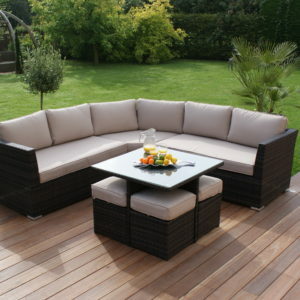 Browse through our collection of Rattan Corner Sets, which come in a variety of designs, layouts and weaves. 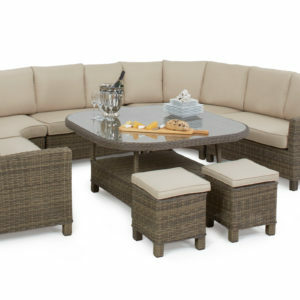 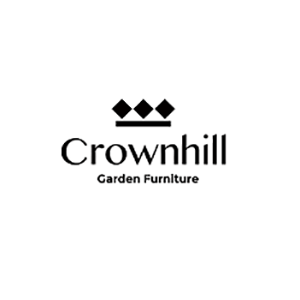 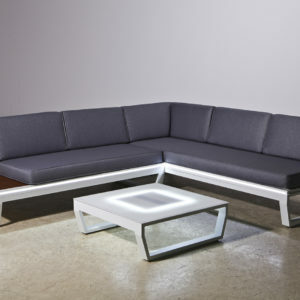 Whether you would like to lounge or dine, there is a corner sofa set to suit your needs, which can also be co-ordinated with other items in our ranges. 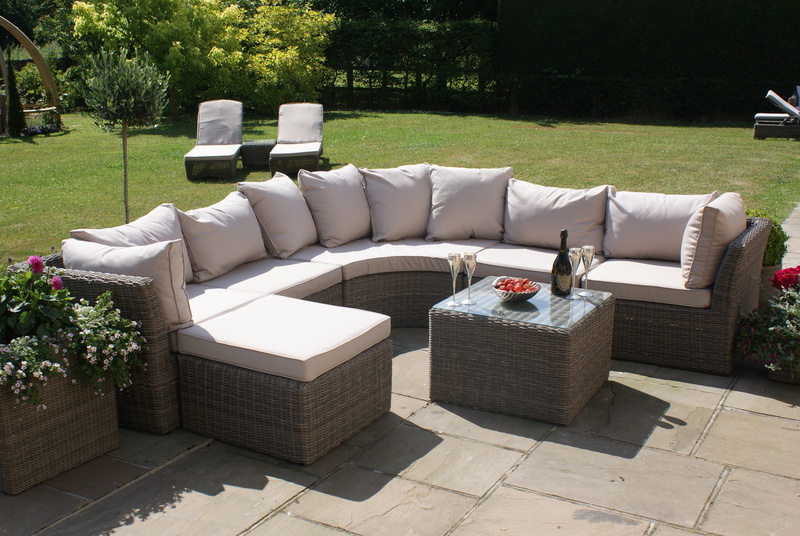 As with all of our premium quality products the polyrattan is handwoven onto an aluminium frame to create the ultimate in beautiful garden furniture, which is weather and UV resistant, stronger, lighter and more hard wearing than traditional rattan.